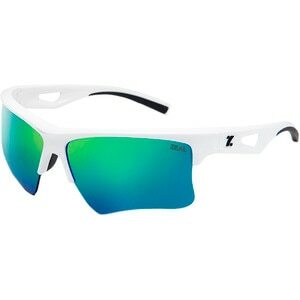 Life moves pretty fast when you're flying down a long descent, so if you don't stop and slip on the Zeal Cota Team Edition Sunglasses before you hit the road, you might miss it. Seriously, the Cota checks all the boxes. 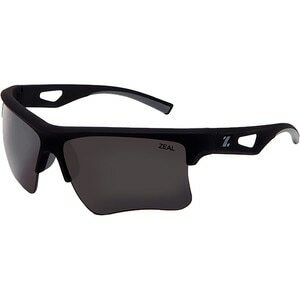 Polarized lens' Yup, and not only does it cut glare and increase contrast, but the Cota's e-Llume lens repels water, dirt, and oil, blocks UV rays, has a multi-layered mirror coating, and is made from bio-friendly, plant-based materials. The lenses are easily interchangeable, too. Lightweight and durable' Sure thing, thanks to the Cota's Z-Resin frames, which are made from a tough material that's derived from the castor plant, not petroleum. Comfortable' Almost too comfy, with Proflex nose and temple pads that make sure the Cota rides comfortably on your face, even if you're sweating. The design itself funnels air around and through the frame for maximum ventilation and fog prevention. Proposition 65 Warning for California Consumers: This product contains chemicals known to the State of California to cause cancer and/or birth defects or other reproductive harm. Posted about 17 hours ago for $62.63, 64% off! Posted about 22 hours ago for $62.63, 64% off! Posted 1 day ago for $62.63, 64% off! Posted 4 months ago for $62.63, 64% off! Posted 4 months ago for $52.13, 64% off!